Be the bigger person to resolve family conflict. The minute your son starts to date, the ultimate concern nags in the back of your mind: you worry that the woman he chooses as his wife will not be the right fit for him or for your family. Unfortunately, that concern is sometimes valid. You may make the disheartening discovery that your new daughter-in-law has selfish habits that negatively impact your son and the extended family. Ultimately, you cannot make your son's choices for him. If he is committed to the relationship, this is a problem to which you will have to adapt by taking the more mature route by being direct, respectful and willing to compromise. Don't engage with your daughter-in-law in the heat of the moment. When emotions are high, communication can deteriorate and erect walls where you want to build bridges. 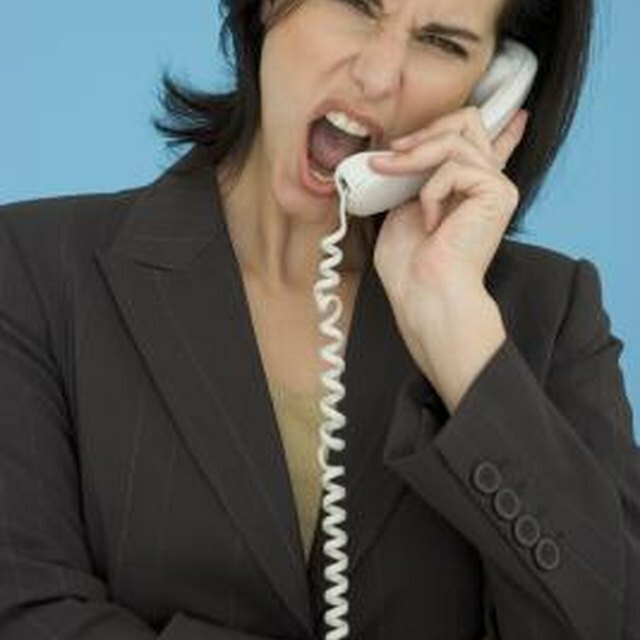 Disengage and come back later when you can talk to her in a calm, mature way. Separate the actions from the person. It is entirely possible that your daughter-in-law is unaware of how selfish she may be behaving or the negative impact it has. Don't vilify her for the sake of placing blame or satisfying anger. Study the behavior to verify whether it is part of a pattern or it is one of a few isolated incidents. This will help you understand her motivations so you can better address the problem. Don't allow anger to fester. Communicate your concerns with her, but only on your own behalf. Don't use this opportunity to challenge your daughter-in-law on issues that deal directly with her and your son. 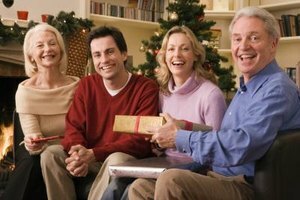 Deal directly with the impact your daughter-in-law's selfishness has on you, such as when she denies your seeing the grandchildren for her own questionable purposes; use ownership statements such as, "I feel left out," rather than accusations like, "Your behavior makes me feel left out," which can put her on the defensive and shut down communication. Be open to that communication. Opening the floor for her to share her feelings might put you in the uncomfortable spot of defending your own behavior. Her selfish behavior may have to do with any perceived power struggle between you and her. Lay defensiveness aside and listen for mutual solutions and compromise, and even apologize for perceived offenses, even if you feel you haven't done anything wrong. Negotiate a compromise that respects your boundaries as well as hers. In a functional family, everyone will be expected to give a little and get a little. Keep it as balanced as the situation warrants, but remember that your son's life with his wife and his own family will likely, and rightly, take priority. Go forward in the relationship knowing that you cannot change her behavior, only she can. She may indeed be unreasonable and continue her selfish behavior, but the only person whose behavior and feelings you can manage are your own. Do not form alliances against her. Take the mature approach and do not add to your son's problems by encouraging unnecessary drama with extended family or even your son himself. It will only complicate matters by making him choose. Allow your son to manage his own marriage. The parental instinct will be strong to protect him, but if your son is old enough to have a wife, he's old enough to fight his own battles. Your interference could likely make matters worse for him as he juggles his allegiance to you and to his new family. Encourage your son to deal with his problems with his marriage within the marriage using communication directly with his wife. If he wants advice, or even an ear to listen while he works out his emotions, remember your role as a parent is to be supportive, not fix what is broken. Avoid passive-aggressive responses to her behavior. This does nothing but perpetuate the problem.